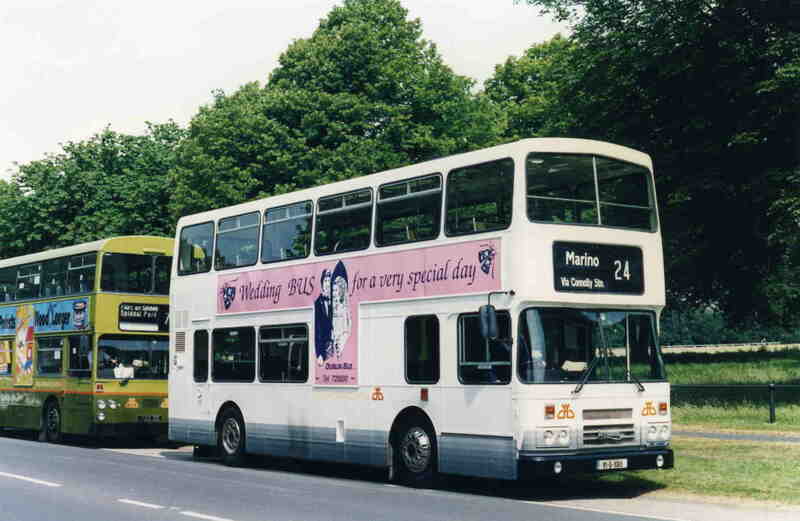 Below Are Just Some Of The Buses Which Over The Years Operated On Wedding Duties for Dublin Bus. Our Thanks To Patrick Losty And Gavin Ward For Their Help In This Photo Feature. 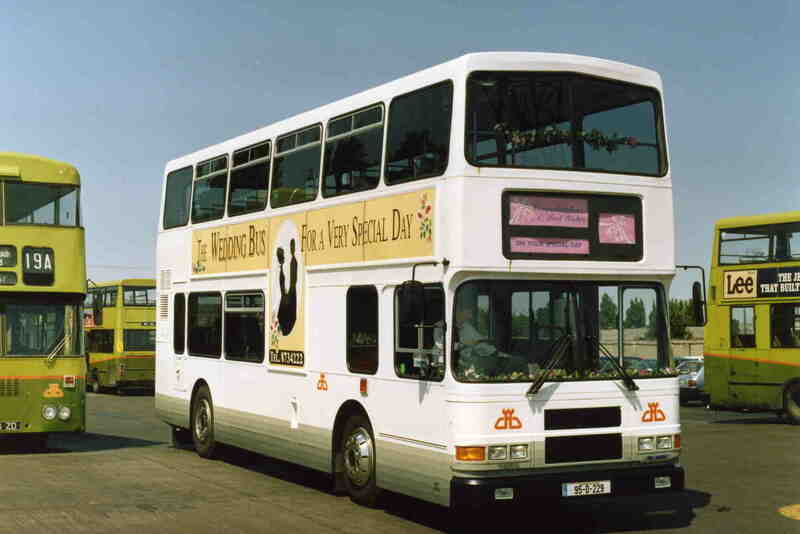 KD366 At Dun Laoghaire Station - 05/10/91. 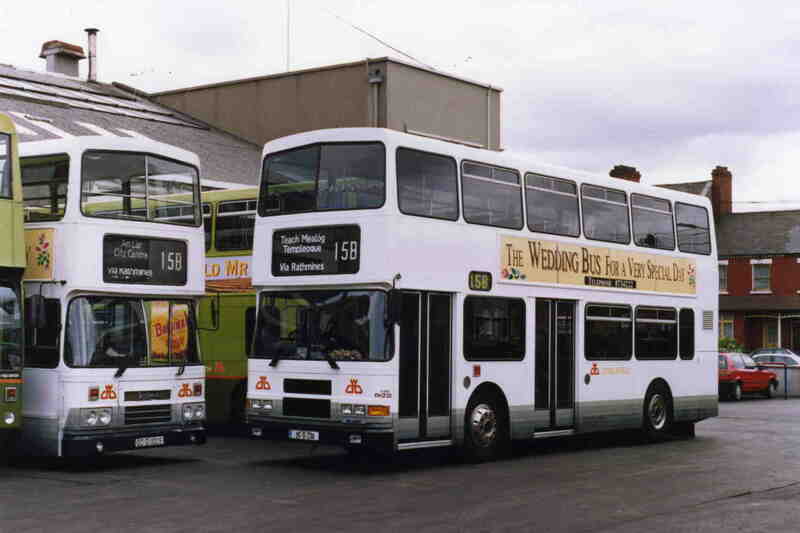 RH3 & 39 In Phibsboro Garage.-13/06/93. RH3 On O'Connell St. - 20/08/91. 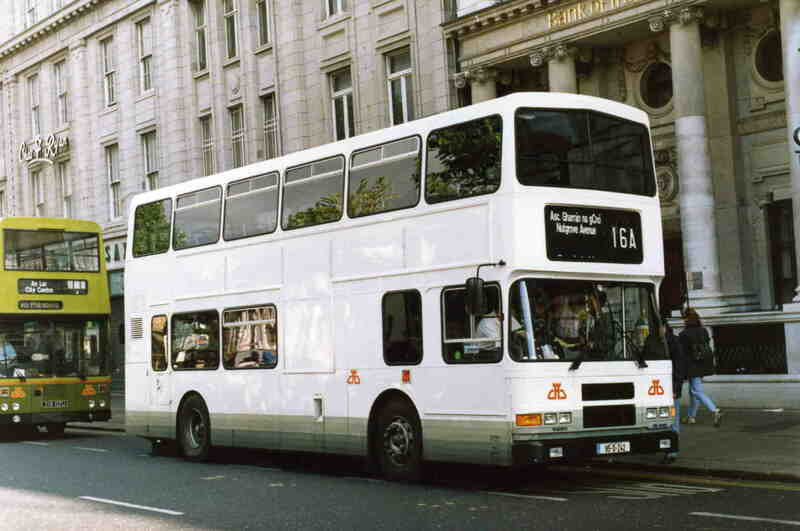 Ringsend's RH9 On College Green. - 28/10/93. Summerhill's RH24 On Marlborough St. - 02/08/92. 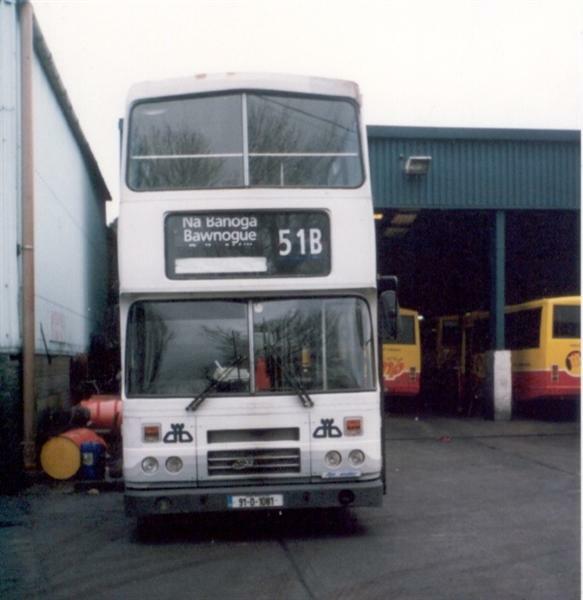 RH39 In Phibsboro Garage. - 09/06/96. 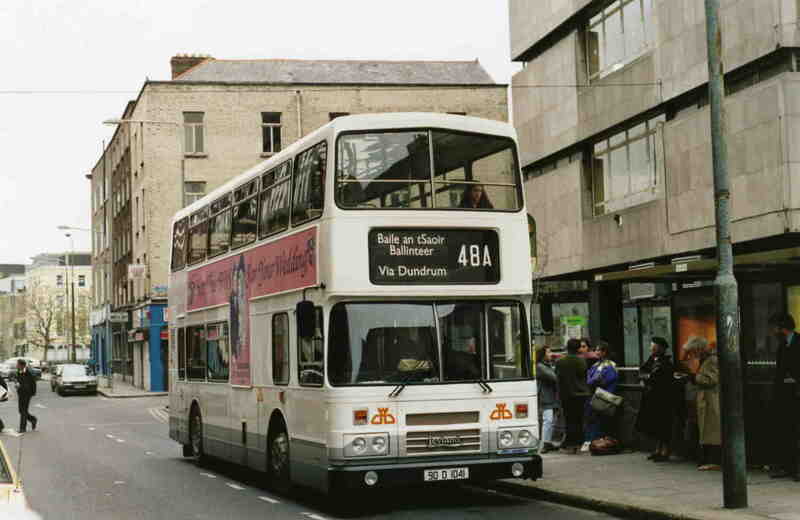 Donnybrook's RH41 On Hawkins St. - 11/11/90. 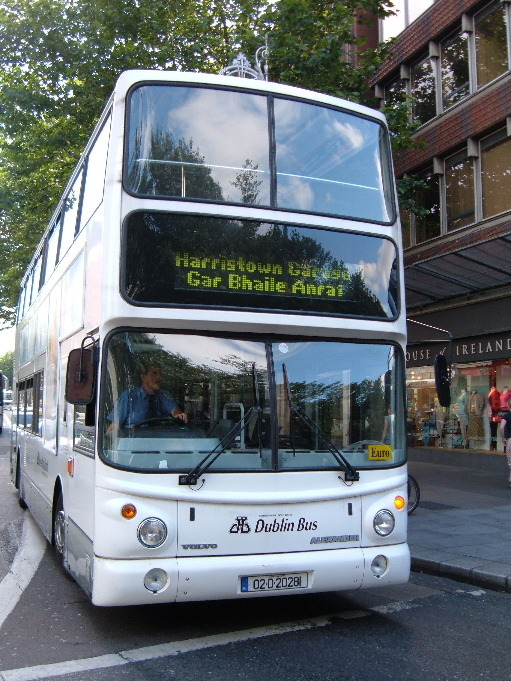 Conyngham Road's RH65 In the Phoenix Park. - 27/06/92. 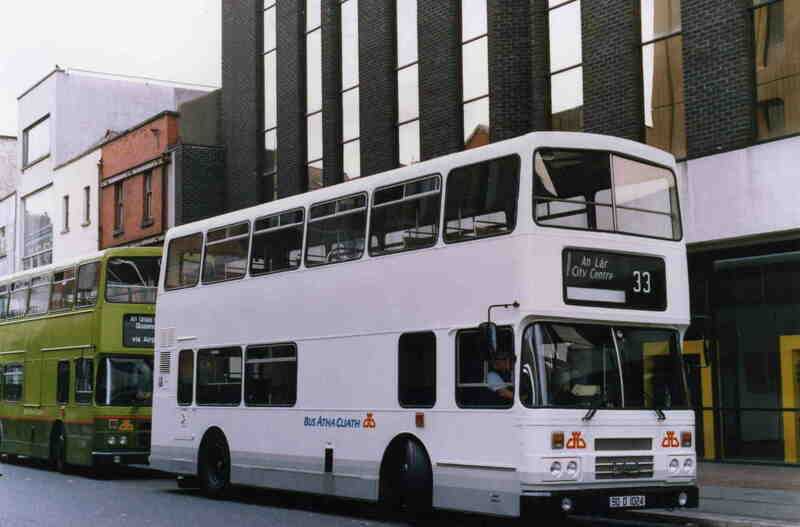 RH81 & RH82 In Abbey St. - 23/11/91. 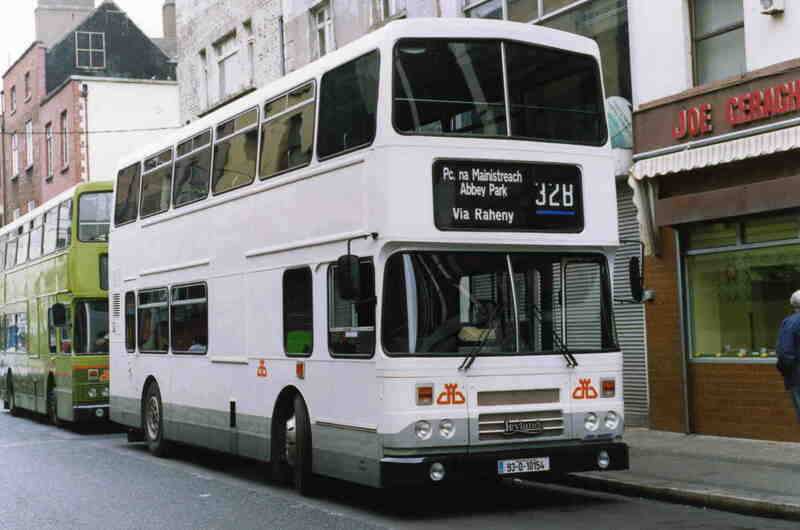 Conyngham Road's RH82 In Abbey St. - 30/03/91. 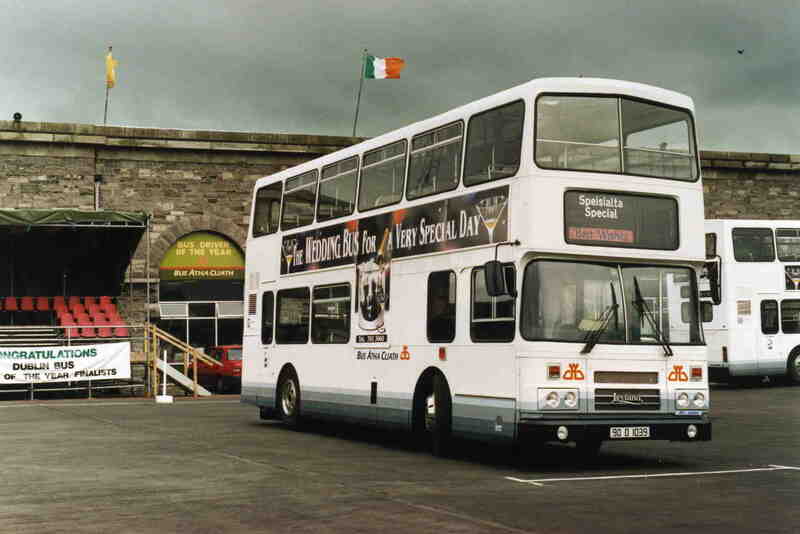 Donnybrook's RH147 At Dun Laoghaire Station On The 46A - 18/08/92. 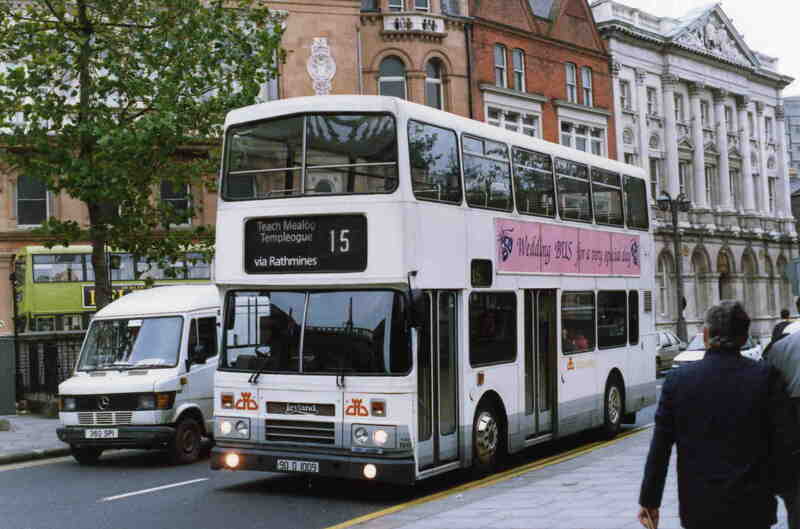 Clontarf's RH154 On Marlborough St. - 03/09/93. 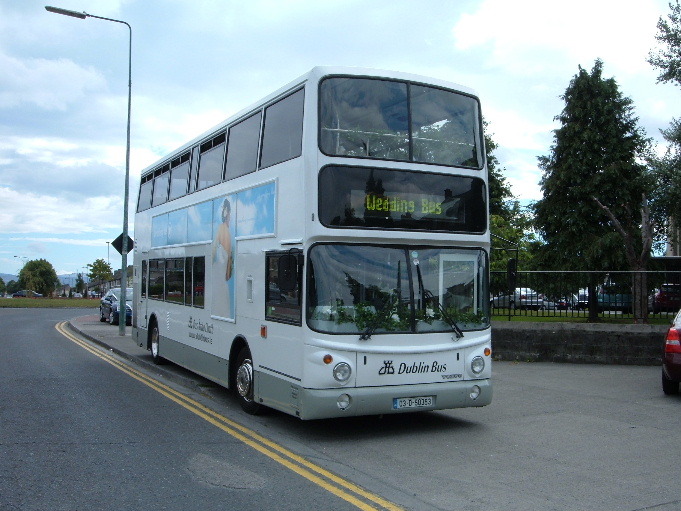 Donnybrook's RA179 On Burgh Quay On The 7. -25/08/94. 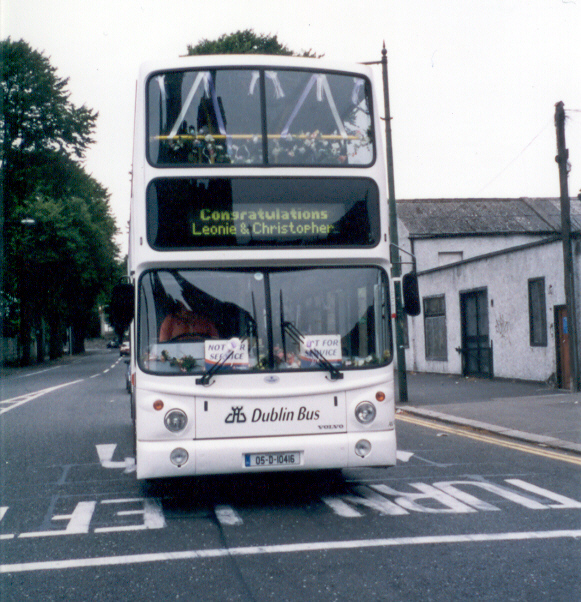 Donnybrook's Wedding liveried RA179 photographed loading on Eden ready to depart on Xpresso route 7X. Conyngham Road's RA228 Navan Road. - 09/09/95. 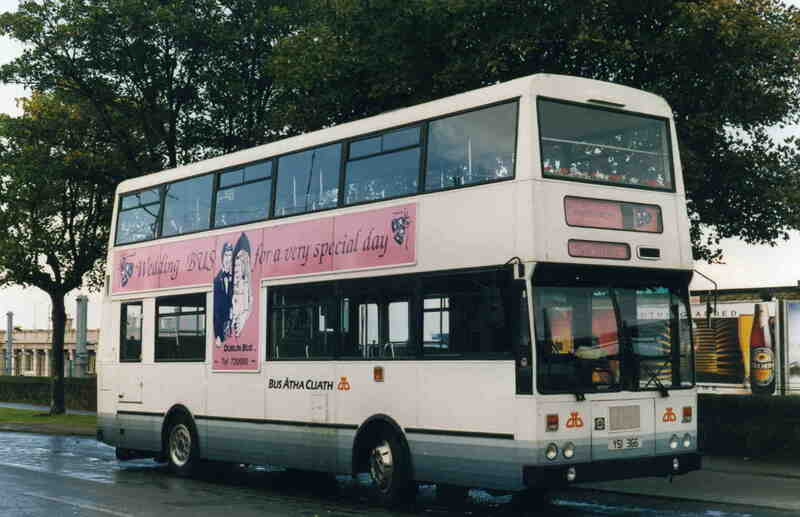 Conyngham Road's wedding bus liveried RA228 is pictured at the 66 terminus on Middle Abbey Street. Ringsend's RA230 And RH9 In The Garage. - 27/08/95. Summerhill's RA242 O'Connell Street - 15/10/95. 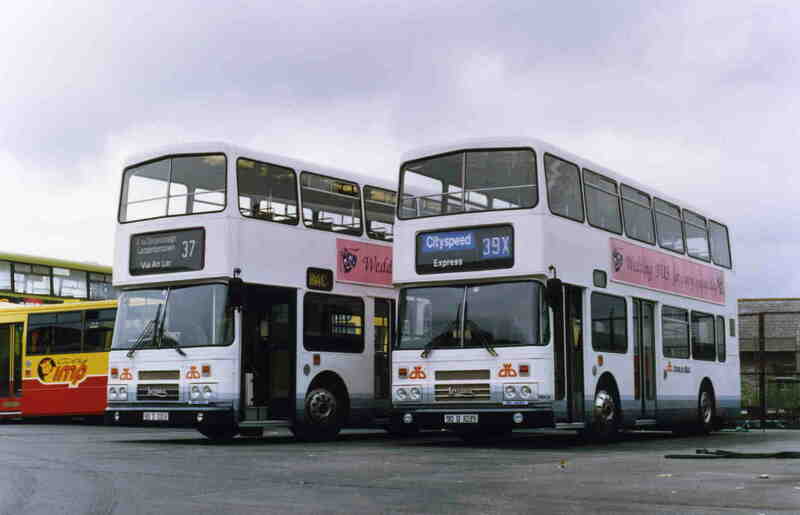 Phibsboro's RV538,410 &411 In the Yard. - 25/07/99. 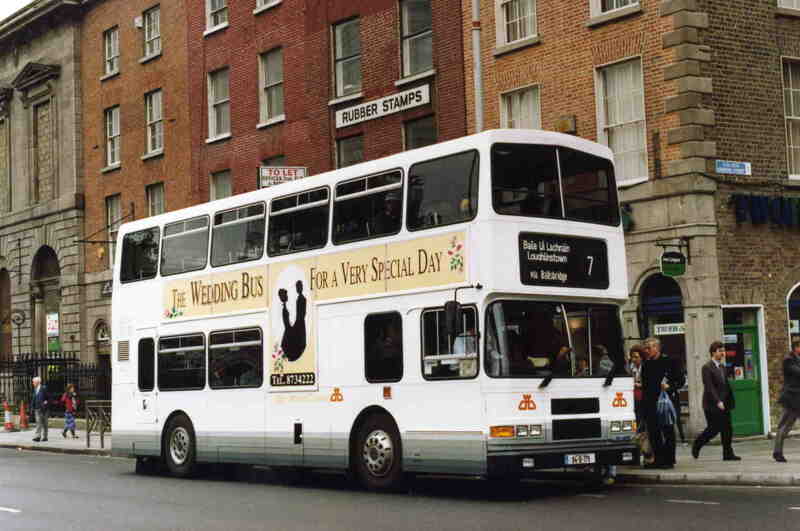 Donnybrook's Wedding Bus Liveried AV265 is seen loading at the 11 stop outside the Savoy. (September 2004). 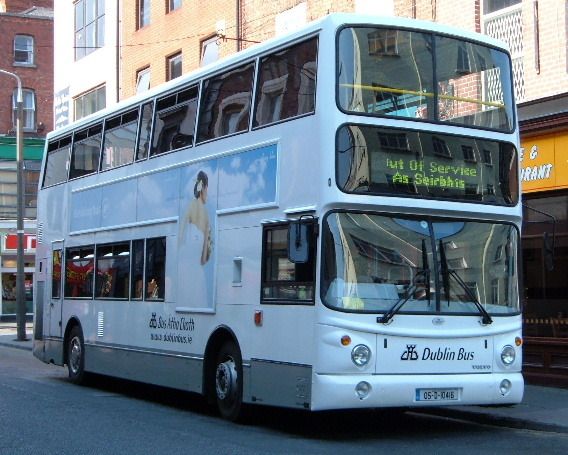 Phibsboro's Wedding Bus liveried AV279 is seen on Parnell Square on a 120 to Cathal Brugha Street. (11th June 2004). Conyngham Road's AV353 In Ballyfermot Road Church. 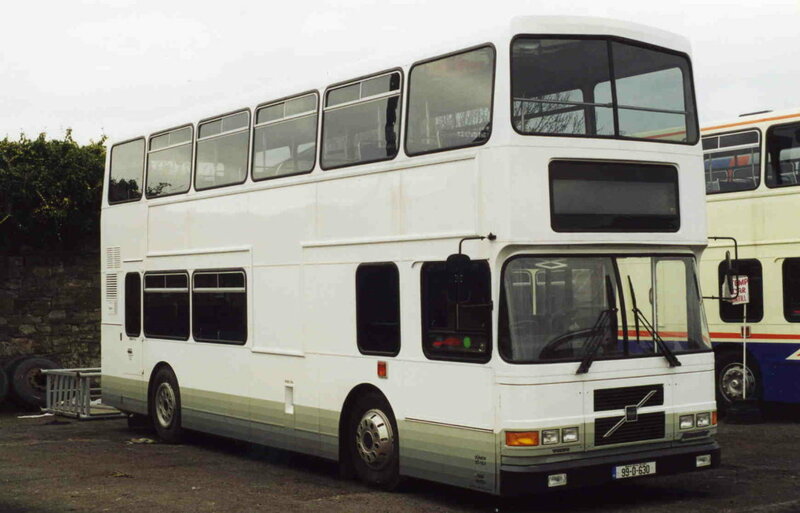 Conyngham Road's Wedding Bus AV353 on a Private Hire in Broadstone garage. (04/10/09). 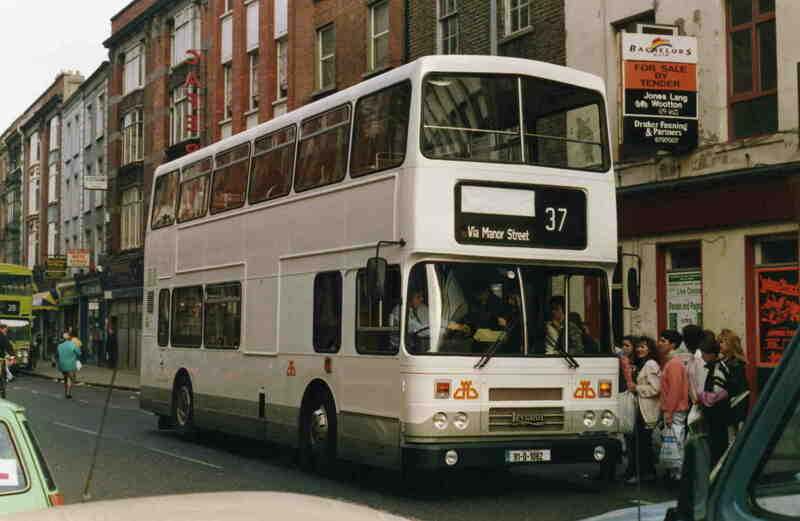 Ringsend's AV383 On Fleet Street. -30/07/06. Summerhill's AV416 On A Wedding Trip. Picture - Adrian Jackson - Phibsboro Garage. 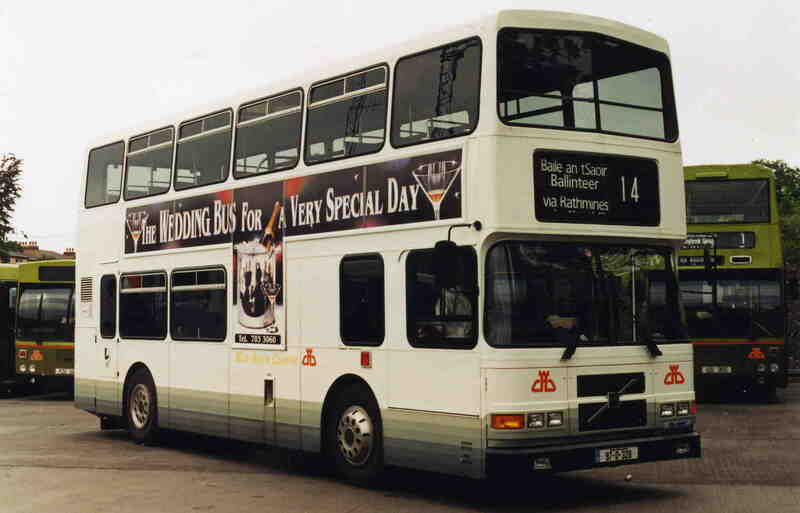 Summerhill's Wedding bus liveried AV419 is pictured at Penneys on O'Connell Street with Leyland Olympian (Molly2) RH31 in the Backround. (31st May 2013). 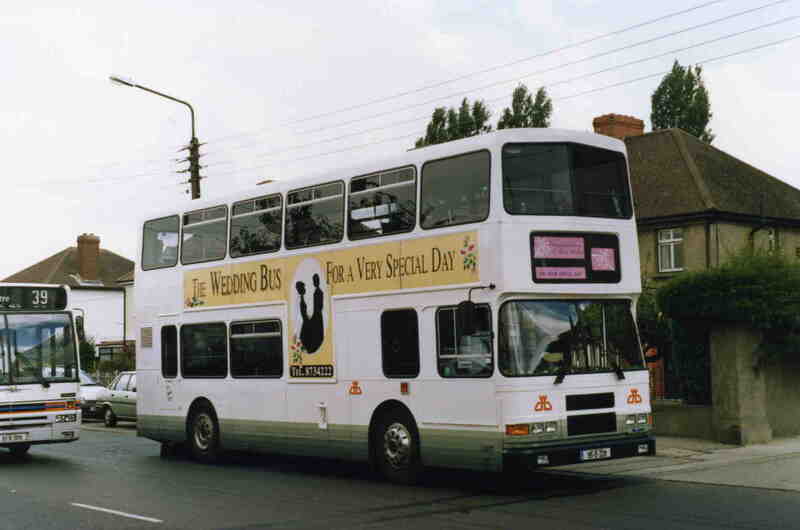 Ringsend's wedding bus liveried ALX400 AX494 is seen leaving Fleet Street on a 150 to Rossmore. (9th December 2012). 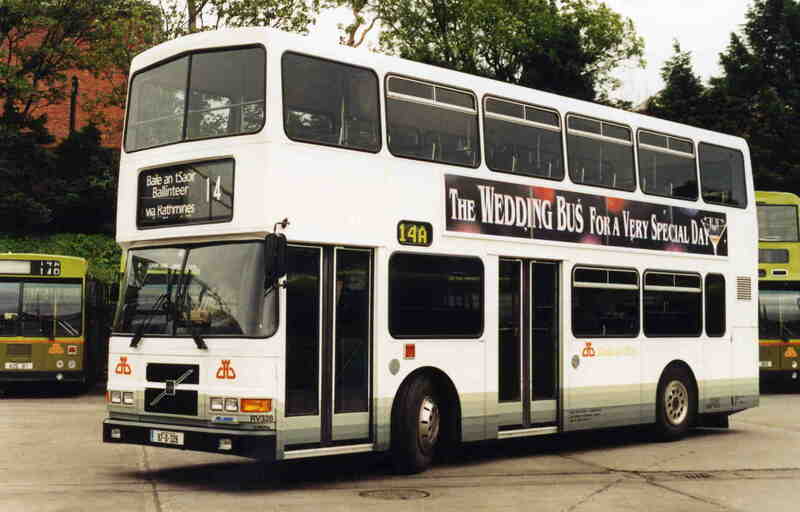 Conyngham Road's Wedding Bus EV64 on a Private Hire in Broadstone garage. (04/10/09). EV64 is seen laying over in the Maintenance sheds at Donnybrook depot. (10th November 2014). 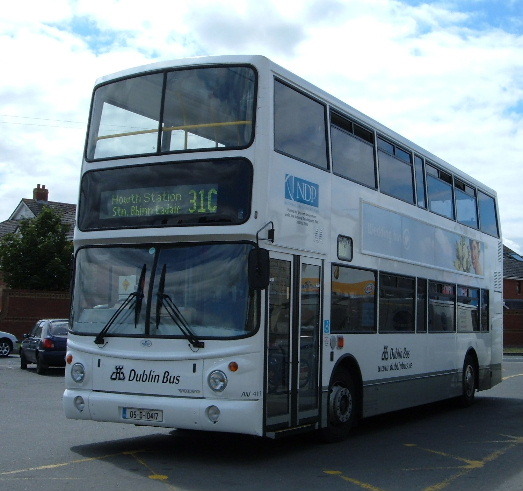 Clontarf's Wedding bus liveried EV89 is seen at Heuston station ready to operate the 53B to Dublin Port. 19th April 2012. 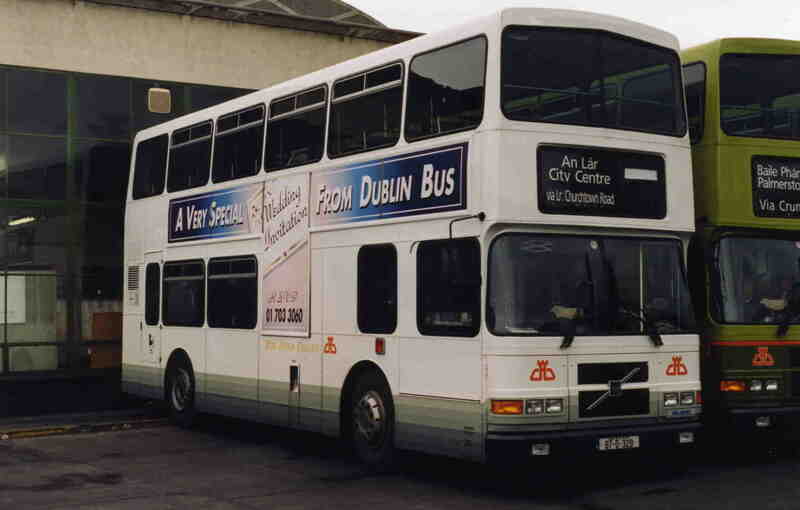 Broadstone based Volvo Gemini VG9 is pictured in Lucan awaiting it's 07:50 25X departure to Belfield. (29th April 2010). VG9 photographed laying over at the I.B.M. facility Damastown. (30/09/09). 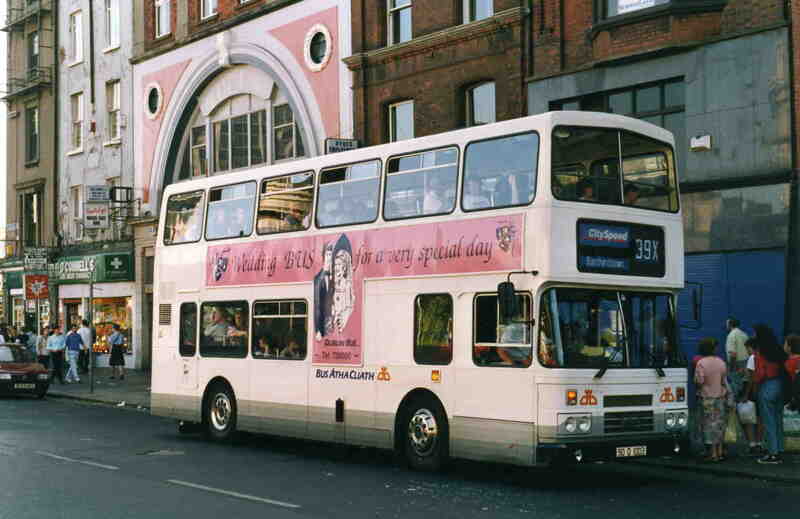 Broadstone based Wright Gemini VG9 in Wedding Bus livery is pictured laying over at Heuston station operating route 91 O'Connell bridge to Heuston station. (26th January 2010). 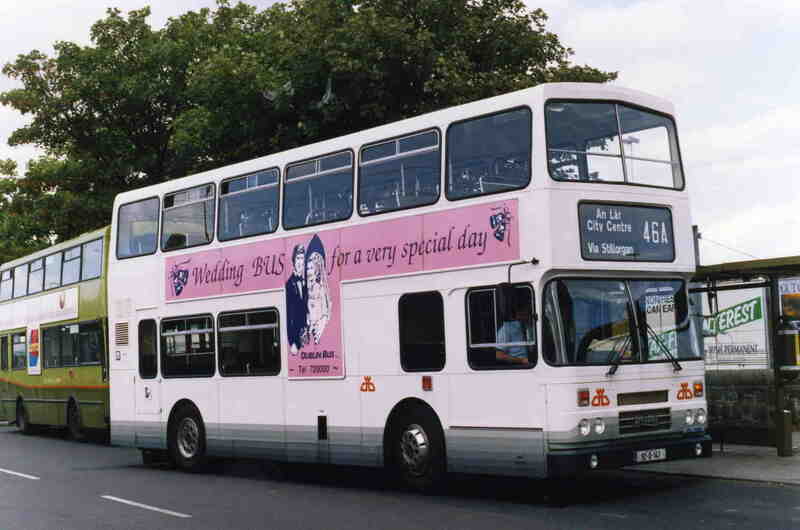 Broadstone based wedding bus liveried Wrights Gemini VG10 is picture on O'Connell Street. (21st May 2011). Broadstone based Wrights Gemini VG10 photographed in the Glenview Hotel car park, Glen Of The Downs, Co.Wicklow (29/07/10). 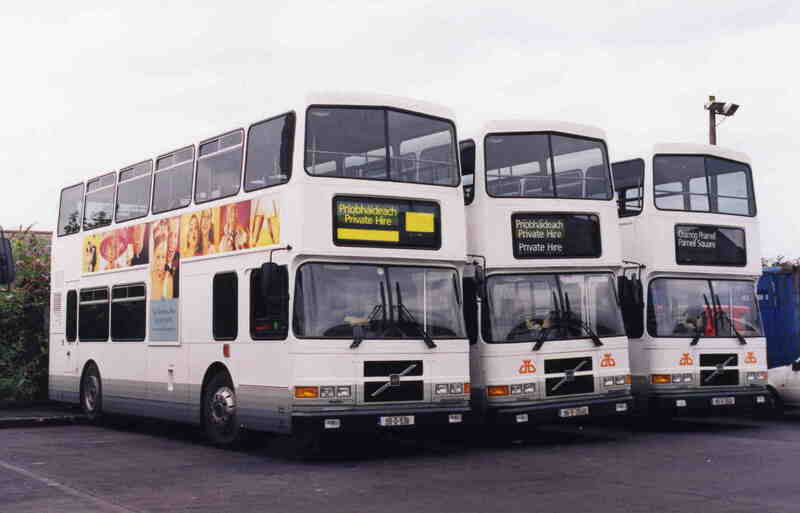 Dublin Bus Wedding liveried fleet VG10, EV64 AV353 and VG9 are lined up on display in Broadstone Garage. (04/10/09).